Disclosure: This post is sponsored by Bounty. All words and opinions expressed are my own. 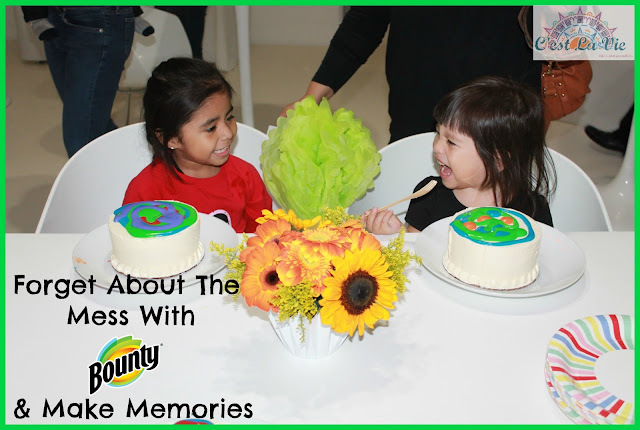 We played with paint, made fun flowers out of Bounty paper towels, finger painted and we even got to decorate our own mini cake so that we could recreate baby’s first cake smash. Yes, this all involved getting messy and dirty but it was worth it, memories of baby girl's cake smash came back to mind and it reminded me how important it is to live in the moment. 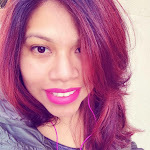 Sometimes we can dwell about the mess that is about to be made and then about the clean-up process, which can be a hard one if you don't have the correct product. For two hours we lived in the moment at Bounty and mother and author Kristin Cavallari’s Messy But Memorable Birthday Bash. Everything was cleaned up easily with soap and some Bounty paper towels. Definitely a most memorable afternoon. Valentina loved decorating her own cake and this momma didn't have to worry about the mess being made, which was a lot. Just imagine a toddler with colored frosting. As a mom of two kids and one fur baby, it can be very hard to avoid messes and I'm so happy to be able to rely on a brand that understands that accidents happen. 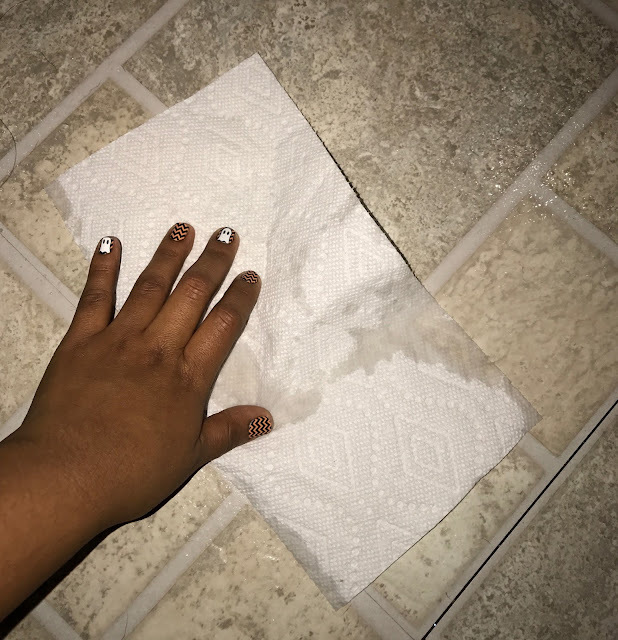 Can you imagine having to clean up spill after spill or puppy pee accidents? Yep, that's what my day looks like, but I'm ok with that. With Bounty being 2x more absorbent than the leading ordinary brand, that means that my roll can last 50% longer. Not only am I helping the planet by wasting less paper but I'm also stretching the money in my pocket. It is definitely worth investing that extra change in a brand that you can rely on. When you grab a Bounty paper towel you can feel how sturdy it is, it doesn't break easily and one of my favorite things is how fun they are. They always come out with fun prints.Every holiday season I try to collect their fun prints and have them out. They make a cute decoration! I love how innovative Bounty is, not only do they have some amazingly fun prints but they are also available in a variety of sizes ranging from full size sheet to half a sheet and even better they now have Bounty with Dawn , yes with the liquid soap we use for washing dishes. Just another thing to make you love Bounty, nothing like a company that knows what their customers need. I have relied on Bounty for years and will continue to do so. Make sure to grab a roll and forget about those messes and make more memories. Follow Bounty on Facebook, Twitter, Youtube and their Website for the latest news and some fun coupons. Stop stressing about the everyday mess and cherish those beautiful memories that are waiting to happen! 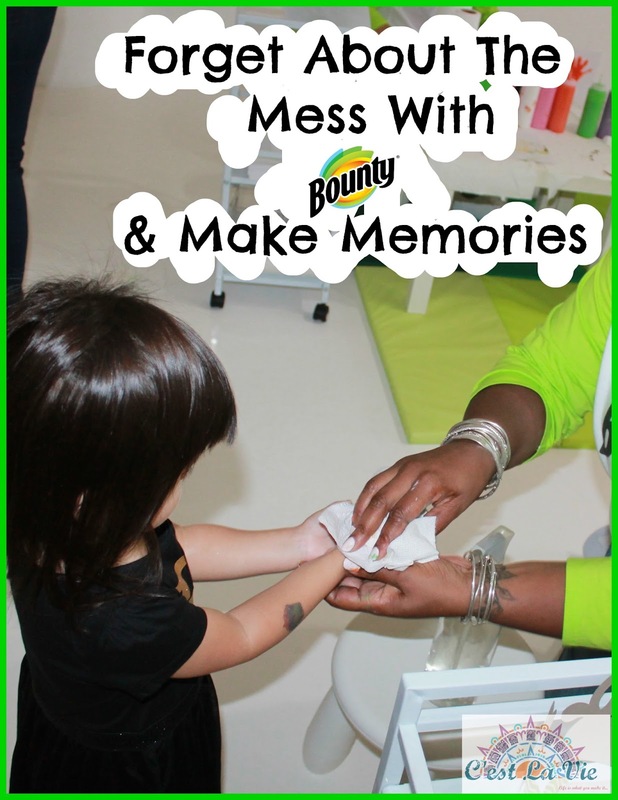 30 comments on "Forget About The Mess With Bounty & Make Memories"
It is so important to let go and have fun! Knowing you can easily clean up the mess helps you to be able to do that! That looks like so much! I agree that you really feel the difference when using a Bounty paper towel and another brand. They can handle a lot more. We used to use Bounty as well and it really did help us out. Its good for mopping up spills that is for sure. Bounty is actually my fave paper towel. Its seriously sturdy and gets stuff done in the clean-up process! I love the quality of Bounty napkins. And you are right, we have to enjoy the moment and not dwell on the messes! Bounty is such a good product and has been for decades. They have been taking the stress out of homemaking for a long, long while. It is one of those dependable products. Bounty is great, I love not having to get out lots of clothes especially for the truly gross messes. That looks super fun! I love the Bounty brand. I've been using it for years. How fun. Love that Bounty is there to clean up all of life's messes for us! Aw, such a lovely post! We only buy Bounty! It doesn't leave any streaks and it seems sturdy enough for a couple of uses. My toddler keeps me buying paper towels! He's busy! Wow! What a fun event to attend with the kids! I'm sure you had a great time. Indeed, it's great to forget about the mess even for just a day! Awe, so cute! I wish the pics were bigger so I could see those adorable faces! Looks like everyone had a great time! I love that brand. It is the best thing. I use it ALL the time because my cat is constantly knocking over his water bowl. I used to get so upset about messes, but after kids I realized I just needed to let that go. It is fun to watch them be so in the moment, even if there is a mess to clean u pat the end. You are so right. Our kids won't be making messes in our homes forever, so just accept the mess and enjoy that time. Thanks so much for this reminder! Messes can be cleaned up, but memories live forever! I agree with your attitude. Happy Birthday to Valentina! This looks so fun!! So glad you had Bounty around to clean up any messes that wouldn't spoiled the fun! I too also love their fun prints! We are Bounty obsessed!!!! My hubby is all about top of the line TP & paper towels and Bounty is on that list! My mom has been using bounty my whole life! So naturally now I do too! I love the fun prints they come out with too. We always use Bounty at home. I'm very brand loyal to them. Bounty is definitely a staple in our home. I love that it can tackle any mess and that I don't have to worry when the kids are doing arts and crafts. It's so important not to stress about the mess! A mess can be cleaned up later - memories can only be made in the moment! Kids definitely know how to make a mess but that's the fun of it all. Cleaning it up should be a breeze too though, right? Bounty is definitely the best picker upper out there that there is. I have tried others and they just don't stack up.